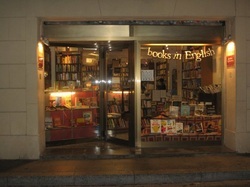 Barcelona's best and best loved new and 2nd hand English book shop has been a valued partner of ComedyinSpain since they opened their doors. Home to an extensive range of titles, over 40,000, in every category you would expect from a quality book shop. Complete with eccentric Irish bookshop owner, it is a must visit for fans of the Dylan Moran masterpiece 'Black Books'. Check their web which has an excellent online search feature so you can prepare for your visit, book and reserve in advance, excellent bookshop! Another important establishment in Barcelona´s English language network with a really huge range of stock fulfilling every nostalgic urge any discerning guiri might experience. Another longterm partner now with a shop in Sitges where we will leave tickets. 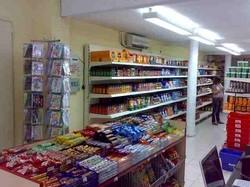 From chocolate bars, to cheddar, curry sauces sausages there is not much you won´t find here. Complete with online shop!